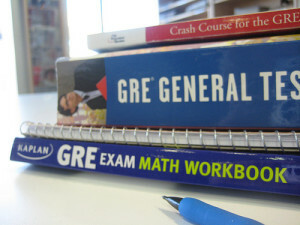 Home › FAQ › What is the GRE and What Type of School Requires It For Admission? What is the GRE and What Type of School Requires It For Admission? It is the most commonly required admissions test into graduate school, but are you familiar with the GRE and type of school that requires it for admission? If you are making plans to attend an advanced terminal degree program, it is very likely that the school that you apply to will want you to submit entrance exams scores. The purpose of the entrance exam scores are to show that a student has a wide range of competencies and the skills needed to grasp the advanced level curriculum that is delivered in the school. If you are trying to discover more about the Graduate Record Examination and what it tests you on, read on and find out all that you need to know. What Will The GRE Entrance Exam Test You On? The GRE is the most widely accepted admissions test for entry into graduate programs because it has been found that it successfully indicate whether or not a student has the potential to graduate with their Master’s degree. The GRE is a computer-based test and was recently revised. It now consists of 3 different sections which include: verbal reasoning, quantitative reasoning, and analytical writing, according to the Educational Testing Service. As a computer-based test, the multiple-choice questions in the reasoning sections of the test are adaptive. This means that as you provide answers, questions will increasingly get harder or easier depending on if you answer correctly or not. Business school students, graduate students, and doctoral degree students may all need to apply to take the GRE. While some schools accept different standardized tests, the GRE is the most widely accepted exam accepted by institutions with advanced degree programs. A long list of schools in the United States and even internationally accept the GRE. Since thousands of schools accept the test, you will need to review the list to search for a school of your choice. The GRE is scored on a scale and each question in the verbal reasoning and quantitative reasoning section is scored in increments of 1 point. In the reasoning sections of the test, you can earn between 130 or 170 points. In the analytical writing portion of the test, you can earn a score on a scale of 0 to 6 and may be awarded half-points. If you are not sure what constitutes a good GRE score, it can be helpful to know that the average student earns a 152 in the reasoning sections of the test and a 3.5 on the analytical writing section. While these are average scores, this does not mean you will get into the best grad schools by scoring average. Typically, the better the reputation of a school, the higher the average score. Some of the top-tier business schools require a verbal score of 160 and a quantitative score of 162. You should check to see the averages reported at schools that you are interested in before sitting for your exam. It is very important that you practice for the GRE if you are preparing to apply to grad school. Use the materials that are available to you and even consider taking a refresher course if you have been out of school for some time. Now that you know about the GRE and type of school that requires it for admission, it is time to get prepared.